There’s something instantly charming about Ancilla. Bathed in a gorgeously-rendered Carribean light, the young girl proffers (or has just been handed?) a rather unripe-looking orange. Well, we know it’s an orange from the title, but you’d be forgiven for taking it for a Granny Smith apple – which only adds to the Garden of Edenishness of the picture. In any case, Ancilla with an Orange is an irresistibly beautiful, lastingly memorable picture. It doesn’t feel very English – the soft focus seems to owe more to the French Post-Impressionists than anything else, but English it is. And it’s entirely unlike most of the work for which the artist is known. Dod Procter RA (born Doris Margaret Shaw) was born in Hampstead, London in 1890, but spent her youth in Cornwall, and at the age of fifteen she enrolled in the Newlyn School of Painting run by Elizabeth and Stanhope Forbes. Here she met two people who were to be key influences on her life and art: Dame Laura Knight, a lifelong friend; and fellow star pupil Ernest Procter, whom she married in 1912. Dod and Ernest travelled and worked together continuously, though of the two Dod had (and still has) the greater reputation. Her best known work, Morning, was typical of her monumental, hard-edged portraits of single female models. It was voted Picture of the Year at the 1927 Royal Academy Summer Exhibition and was bought by the Daily Mail for the Tate Gallery (at £300 it was an absolute steal, even then!). After Ernest’s unexpected death in 1935, Dod continued to paint in Cornwall but also to travel, including in the United States, Canada and Africa. 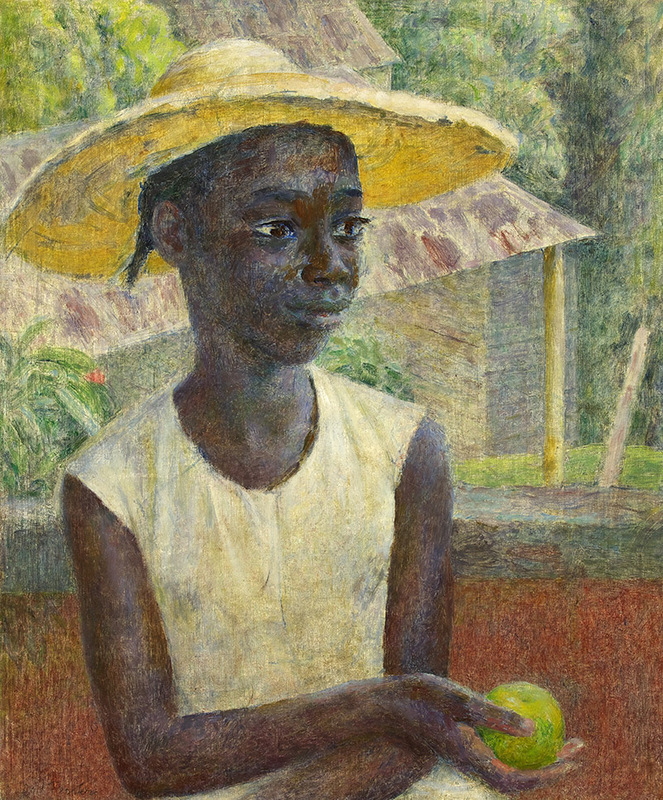 In the 1950s she spent time in Jamaica, producing various portraits of local children. As Anicalla with an Orange shows, her style changed significantly over time, acquiring a much softer, more impressionistic tone than the work that had made Dod’s name in the 1920s. Ancilla was shown at the RWA’s 104th Annual Open Exhibition in 1956 and was purchased for the permanent collection. It recently featured, along with works by Ernest Procter, in the RWA exhibition In Relation: 9 couples who transformed Modern British Art. Like many of her contemporaries Dod’s work fell out of favour during her lifetime, but as interest in the interwar ‘British Realism’ style has revived in recent years, so she is now recognised as a key figure in the development of modern British painting. The RWA’s Ancilla is a delightful – if perhaps not archetypal – Dod Procter masterpiece. Material: Oil 61 x 51cm.